As a burnout epidemic is gradually sweeping the country, what are the secrets of workplace psychology that help us to feel happy, productive and creative in our jobs? 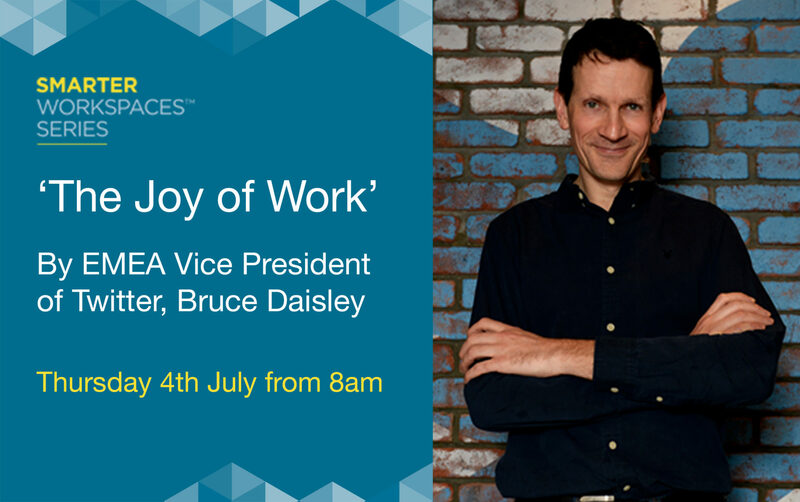 Bruce Daisley, EMEA Vice President of Twitter, will be delivering a thought-provoking presentation on rediscovering the joy of work. This seminar will cover relevant topics that can be useful to support all office cultures and industries. The ‘Smarter Workspaces Series’ is an event programme initiated by Woodhouse to inform, educate and guide individuals and businesses around subjects on the office environment, and the influence of an office design and fitout. This event will be held by Woodhouse at their own agile workspace in Hatfield and in partnership with the Hertfordshire Chamber of Commerce. Join commercial property experts and key local business influencers to learn about creating a happy, productive work environment. This is a completely free event to attend. Please register to book your tickets here. Bruce Daisley is the EMEA Vice President of Twitter and best selling author of The Joy of Work. He joined the company in 2012 having previously run YouTube UK at Google. He has also worked at Emap/Bauer and Capital Radio. We are a 5 minute walk from Hatfield Station, which is 20 mins from Kings Cross. Please call 01707 255 300 for further details. Lifts to and from the station can be arranged.